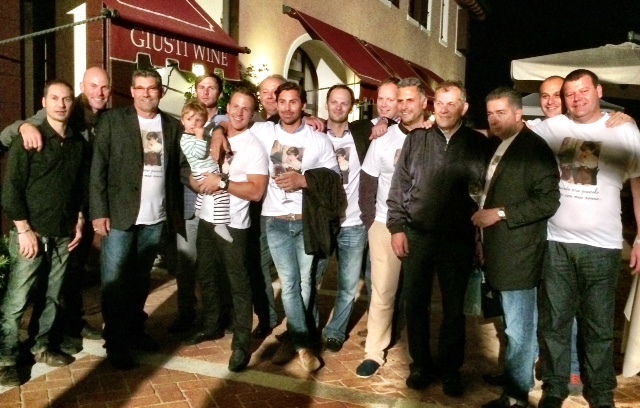 In mid September this year, before the tile show “Cersaie” in Bologna , Italy our Julian Managers, Buyers, and many friends in the tile business (from Canada, USA and Italy) gathered on the spectacular vineyards of our partner, Joe Giusti, for a tour of his new Giusti Wine Headquarters and also of the vineyards themselves – all in Northern Italy near Venice. Giusti currently holds 75 hectares of vineyards there and his newest acquisition is the Abbazia Property on gentle rolling hills of the “Montello” overlooking the town and church steeple. The property grows grapes (which were being harvested as we toured) and also a number of beautiful chestnut trees dropping their ripe fruit (Marroni) to the ground, ready for roasting. The property is historic landmark and at the top of one of the hills sits the ruins of a 11th Century Abby called L’Abbazia di Sant’Eustachio. On Saturday, September 20th Julian held a party for 110 for all our friends and family on the terrace of the Abbazia property where we enjoyed great food , wine and live music – all topped off with fireworks. What a night! Special thanks to Rodney Clark of Rodney’s Oyster House (Eamon, Matt and Jennifer too) for getting the East Coast lobsters, oysters and clams to Italy in time for the party and for preparing everything just right!! 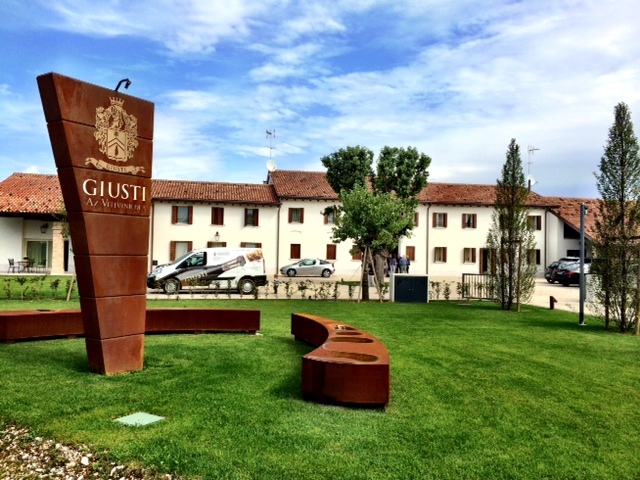 Check out the Giusti Wines website!